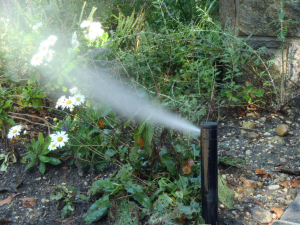 As you may be aware, sprinkler blowouts refers to a maintenance routine that ensures all water and debris are periodically removed from your sprinkler system. Aside from being an important part of winterization, there are some other reasons why sprinkler blowouts are important if you live in the Denver or Aurora areas. In fact, even if you live in a warm climate, periodic sprinkler blowouts can preserve the efficiency and durability of your system. Usually takes less than 20 minutes to pull all the water from sprinkler hoses and pipes— Even if you have a busy schedule, making room for this vital service will save you money as well as aggravation later on. For the most part, you will find that sprinkler blowouts are not difficult for professionals to manage. On the other hand, when you hire an amateur all kinds of problems can develop. This includes failure to evacuate all the water from the system. Unfortunately, even if a small amount of water is left trapped in a valve, it can expand enough during freezing weather to damage the valve. As citizens of the Denver Metro we are fully versed in the regional needs when it comes to sprinkler blowouts and other types of seasonal maintenance. Why should your sprinkler pipes and valves be ruined by freezing water when sprinkler blowouts make it possible to avoid all these problems? Give us a call today and ask for an estimate on sprinkler blowouts as well as other repair and maintenance services.